While focusing on recording high-quality business videos, people often forget that the audio they record is going to be part of the video as well. In fact, if the audio quality is poor it will drag down the whole video, which is why you should take steps to make sure that isn’t the case. The built-in microphone on most video cameras is compressed and won’t be able to capture high-quality audio. As such if you want your audio quality to be good, you need to use an external microphone to record it. Although you don’t need a top of the line microphone, you should try to find something that is decent. In particular, you may want to look at different types of microphones such as the Shotgun or lavalier microphones. Each type is good in different situations, so first you should decide on the type of audio you need to record. To improve the audio quality you should try to reduce the amount of ambient noise that your microphone will inadvertently pick up. Trying to find a quiet location to record would be good – but it isn’t always an option. Overall you should try to remove any sources of ambient noise that you can from the equation. Some of the common examples that you could start with include electrical appliances, fans, air conditioners, and even computers. If you are going to be recording audio for business videos on a regular basis, it may be worth setting up a makeshift recording studio. Initially, it doesn’t have to be anything too fancy – and you can start with a relatively quiet room. Some of the ways you could improve your makeshift recording studio are by soundproofing its walls. For example, you could set up railings on the walls and drape carpets or curtains over them. Before you record the actual video, be sure to test the audio quality. All you need to do is record a short clip that contains parts where you speak into the microphone and parts where you do not. Based on that test recording you should be able to gauge the audio quality, and can take steps to further improve it if necessary. Generally speaking, the easiest way to make sure the audio quality is good is to record it separately from the video. That way you can record the audio in a quiet setting and make sure its quality is good. 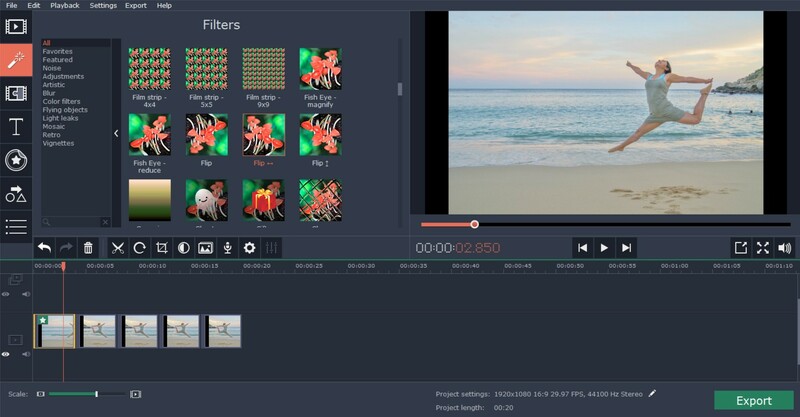 Later you can add audio to video during post production, and for example, you could use Movavi Video Editor for that. While it is difficult to record ‘perfect’ audio outside of an actual audio production studio – the tips listed above should help improve your audio by leaps and bounds. Give it a try, and ‘hear’ the difference for yourself. Convert SD to HD video in just a few clicks. Factors to consider when choosing the format of the video. Nice tips Sir, thanks for sharing tips great your tips Good job, sir. Awesome tips!Thank you for sharing informative tips and tricks.